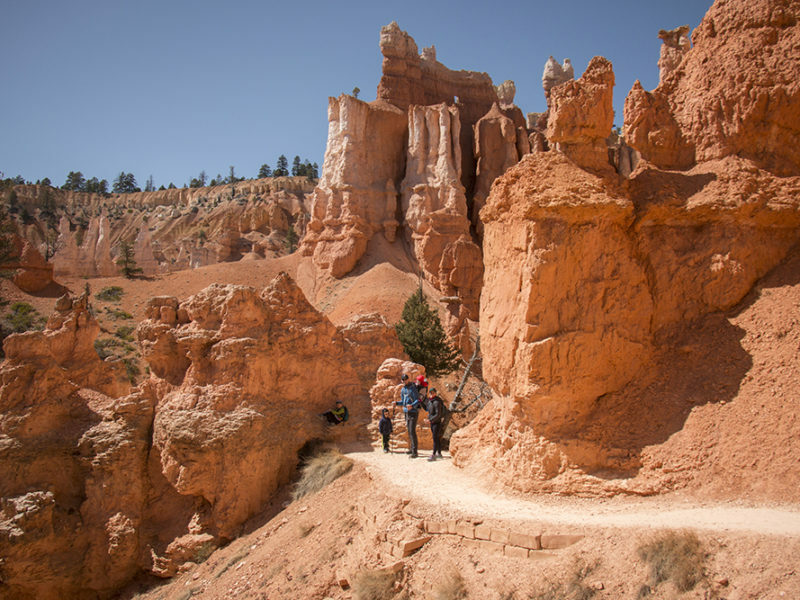 The Queen’s Garden Trail is a gorgeous hike in Bryce Canyon National Park. 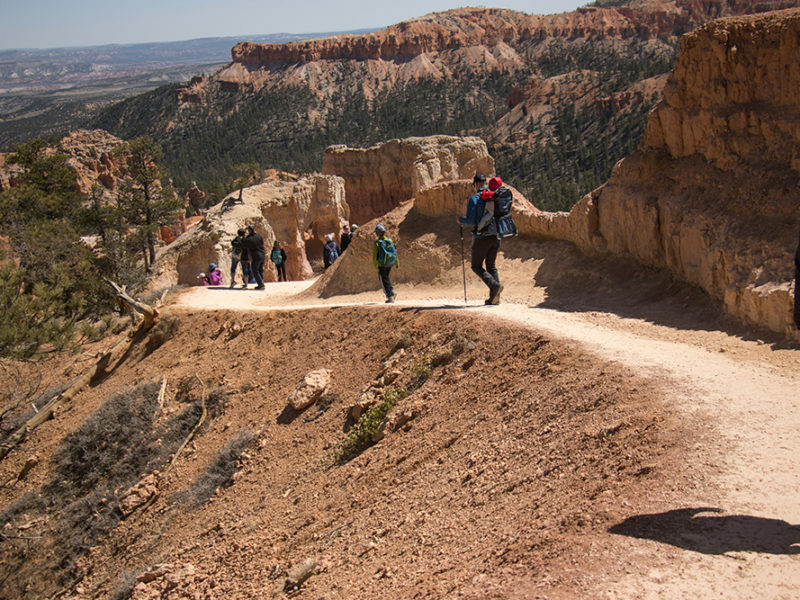 The trail starts at Sunrise Point and descends 320 feet into one of Bryce Canyon’s many amphitheaters. The beginning of the hike may be a little bit challenging for young walkers as it’s mostly gravel and downhill. 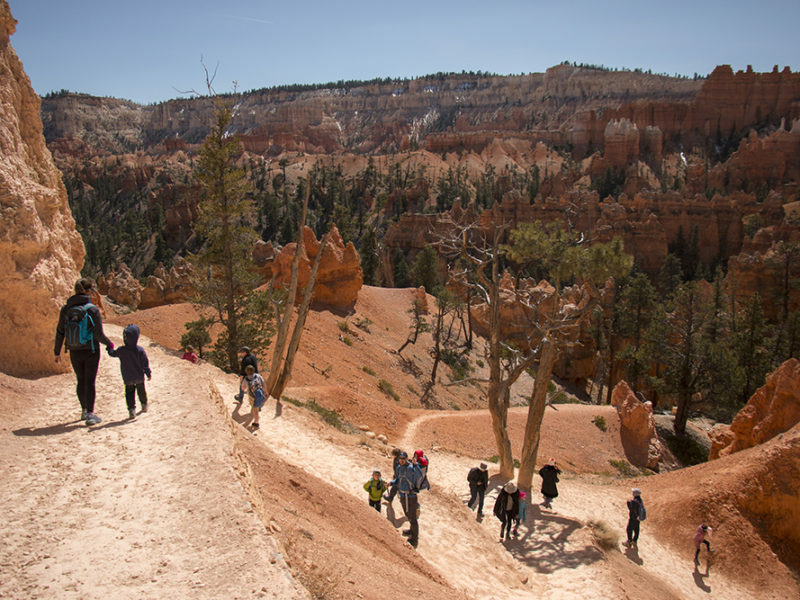 It may be slippery for some little ones and there’s a steep drop-off, so handholding is recommended. For any adults who feel a little unsteady, trekking poles are really helpful. 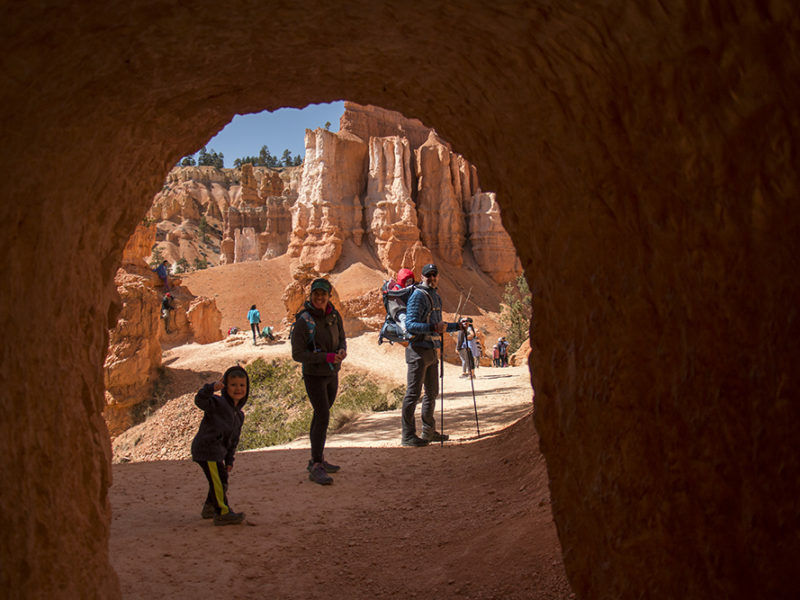 There are panoramic views of Bryce and a couple of fun tunnels to walk through. The trail ends at the valley floor where you can rest and find some shade. 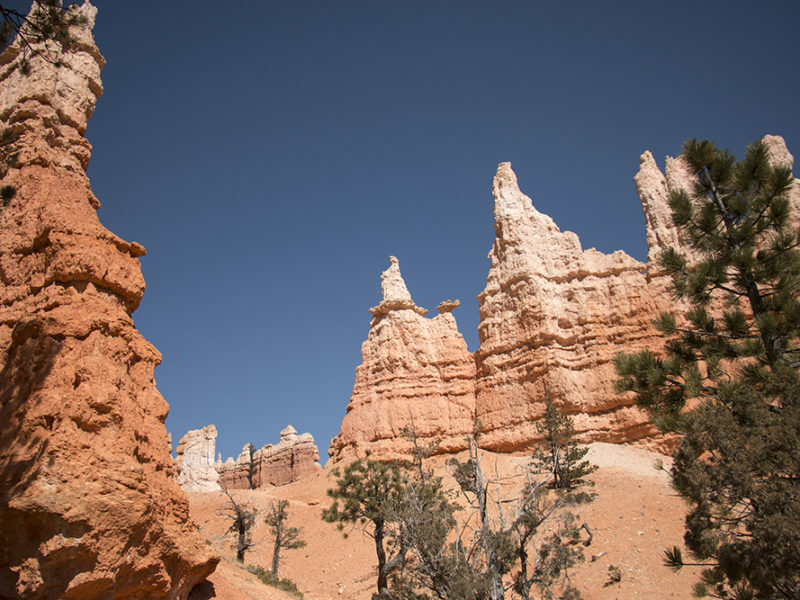 The area is named Queen’s Garden because of hoodoos that resemble a portrait of Queen Elizabeth. 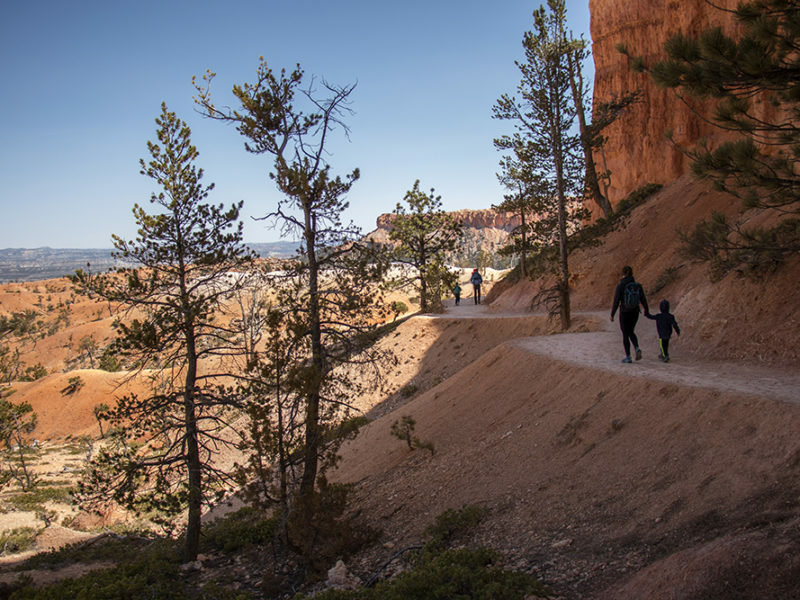 You can choose to hike back up the way you came, or you can continue onto the Navajo Loop trail that brings you back up to Sunset Point, which is a short walk back to the parking lot at Sunrise Point. In the summer the temperature can easily pass 100°F, so if you can avoid hiking this trail in the afternoon, early morning or evening is recommended. Also be aware that the park sits at over 8000 ft above sea level. This trail can be exceptionally hot in the summer with temps reaching over 100°F and there is almost no shade on this hike. Be cautious and bring lots of water. The gravel at the beginning of the trail may be a bit slippery, especially for young kids. There is a steep drop-off at the beginning of the trail, handholding of littles is recommended. 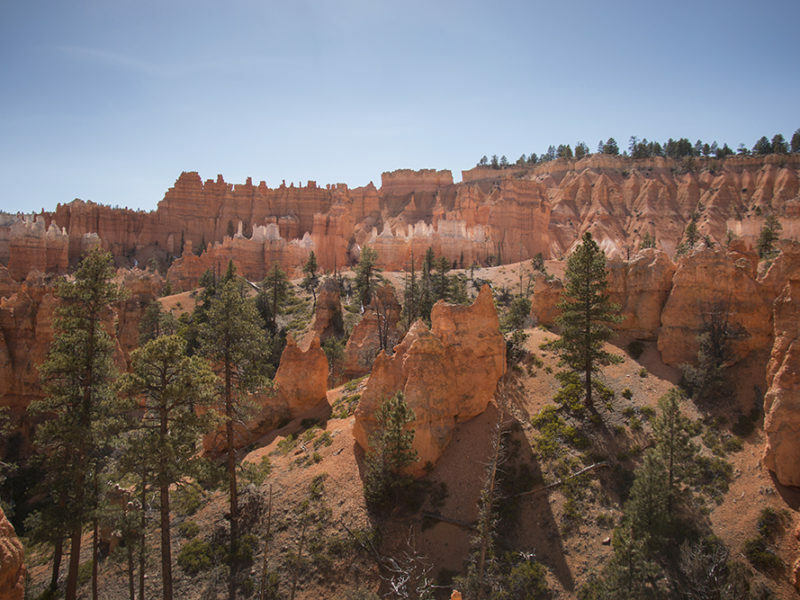 There is a $35 fee to enter Bryce Canyon National Park.